What’s more! New users, please avail of a massive discount! Use coupon code STYFI500 and straightaway slash INR 500 on a purchase of INR 2000! 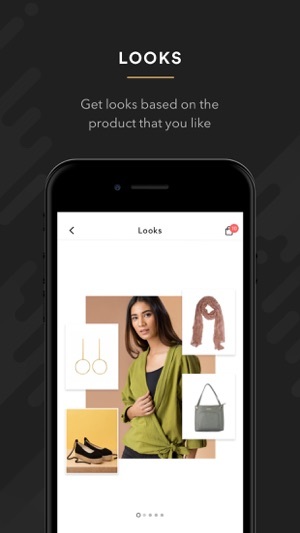 STYFI brings you products handpicked by expert stylists from India’s leading stores on a simple curated fashion shopping platform. With 100 brands, 150 + categories and 35,000 + products to select from, your online shopping experience just got more effortless and exciting. Curating latest trends for men and women to suit your mood and personality is amongst the things we do best! Sign up today for exclusive discounts and steal offers! What was first thought of as a trend has now become a way of living! Download now, and get into the STYFI groove today! 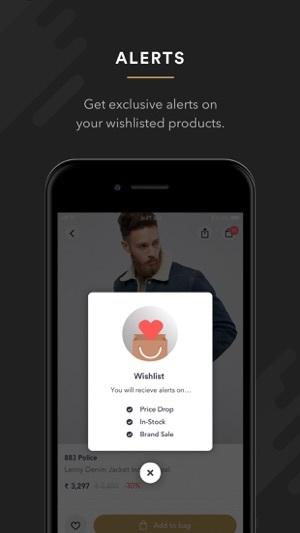 - Enable notifications, and never miss out on massive discounts, price drops and offers that are always lined up. - Shop the best in casual wear, formal wear, ethnic wear, activewear, sleepwear and loungewear for men and women. - Browse through collections that are updated every fortnight with specific trends like prints, fabrics, collars, cuts and sleeves. - Handpicked by in-house styling experts so you never second guess your shopping decisions! - From retro to raging, we are your one stop shop that takes care of all your wardrobe needs on the go! - All of this and more, at unbelievable prices! With online shopping taking preference, there was a need to simplify your shopping experience. We feature budget as well as luxury brands that cater to all your fashion needs. Forget the hassle of multiple browser windows while you struggle to look for the perfect product on several websites and aisles. 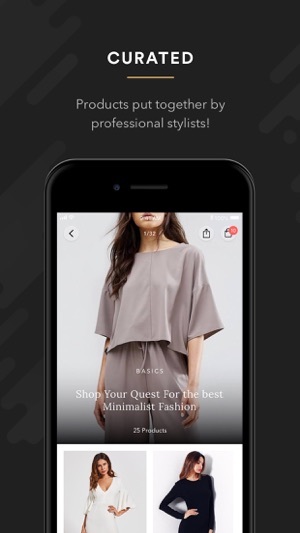 STYFI brings brands and products, all under one roof. Our wide range of product inventory includes ethnic wear such as sarees, lehengas, anarkalis, kurtis and kurta suits. We have contemporary wear such as cocktail dresses, tops, cardigans, jumpers, skirts, trousers, pants, leggings, denims, jumpsuits and rompers. Lingerie, active wear for your gym needs and swimwear are some of our favourites too. For accessories, browse through aisles of jewellery, scarves, wallets, bags, eyewear, belts and hair accessories! Your footwear needs too, are taken care of as we stock up on more heels, mules, pumps, flats, trainers and sneakers. Apart from shirts, trousers, t-shirts and suits, we also have a few aces up our sleeve. Shop clothing accessories such as suspenders, lapel pins, bow ties, pocket squares, ties, watches and eyewear to chase all your needs in one go. We cover all your bag needs, whether you believe in classics such as backpacks and suitcases or something more hipster such as messenger bags or slings. We also stock up on everything from flip flops and pool sliders, to monk straps and oxford brogues, to casual wear such as plimsolls and loafers. For the bold and handsome, dive into the jewellery section to upgrade your wardrobe with the current trends. There’s a reason why products on STYFI look new and fresh. 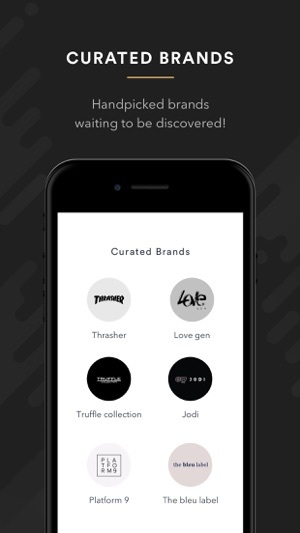 Our team believes in getting you access to some of the most niche brands to be discovered. Stop buying products that are mall produced and mass consumed. Here’s your chance to buy goodies that are on trend, yet relatively new. We carefully screen and assemble products based on our existing inventory and stock. This ensures variety, with regards to the season, weather, festivals and fashion weeks. Besides your shopping needs, we also aid you in the evolution of your style. 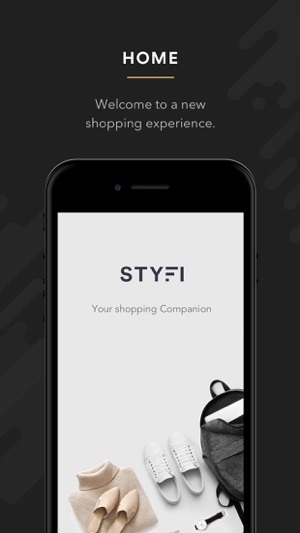 From a product you didn’t know you needed, to items that you’d been hankering for, STYFI has it all. 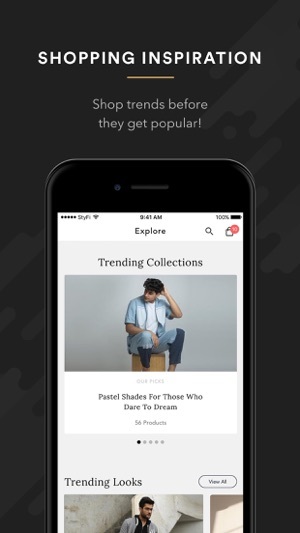 Explore our app to be intimated of the best styles doing the rounds of the global fashion industry. This will not only give you endless aisles for variety but will also help you in knowing what’s the best design, pattern and style for you, that too, in your budget! 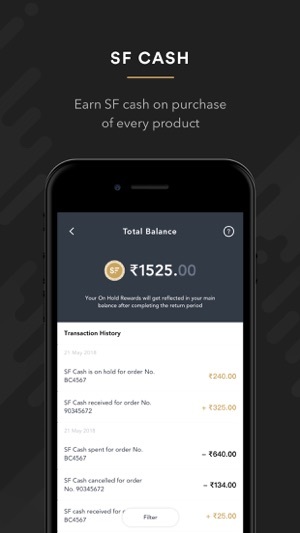 Very clean and user friendly app. 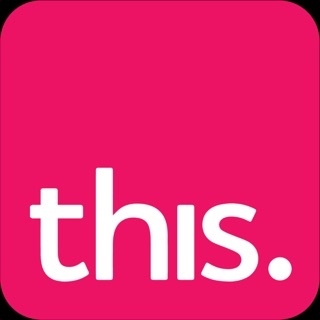 Great variety of curated products. Love it! 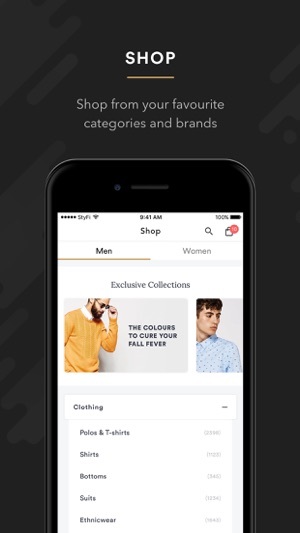 This app lets me see what's new in fashion and shows me where to buy it at the lowest price. Good job!